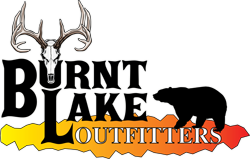 Burnt Lake Outfitters has over 20 years experience hunting trophy class black bear, whitetail deer and moose in Alberta, Canada. 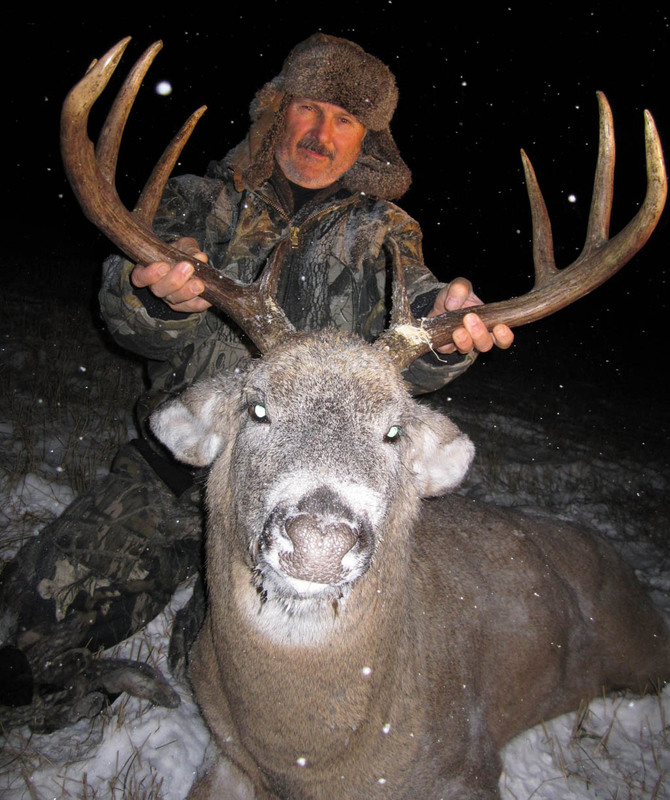 Whitetail deer hunting, moose hunting and black bear hunting in Alberta's North has always been a passion for us. We hunt Alberta's premier area where the farmland meets the boreal forest. To offer these trophy hunts it is very important to be hunting the right areas of Alberta, with professional guides who know the areas. Black bear hunters will hunt many different bait sites where there is a 2 bear limit and 40% color phase bears. P&Y and B&C bears are not uncommon with many bears reaching well into the 7ft 400 lbs mark. Whitetail deer hunters have great opportunities to hunt 150+ bucks during archery only season and during the peak of the rut. 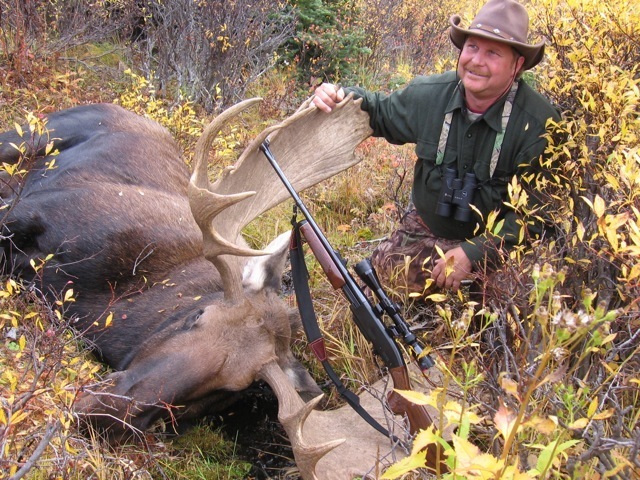 Our moose hunters will have great opportunities to take some trophy class animals as well. When you book a hunt with us, you will have an exceptional hunting experience. 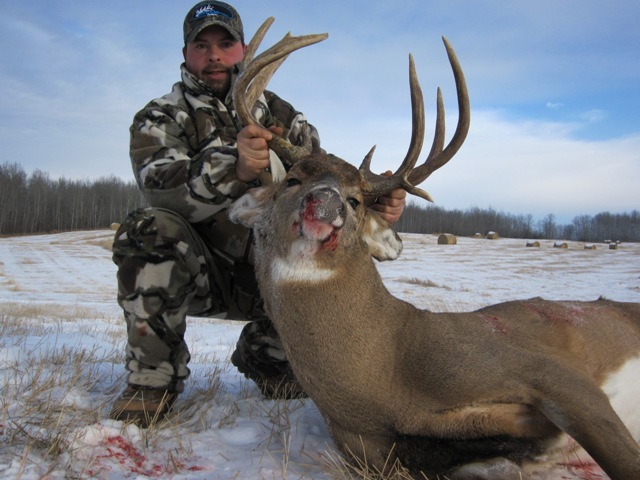 Hunters can enjoy many prime stand sites, great lodging, home cooked meals and a true taste of hunting Alberta’s trophies. 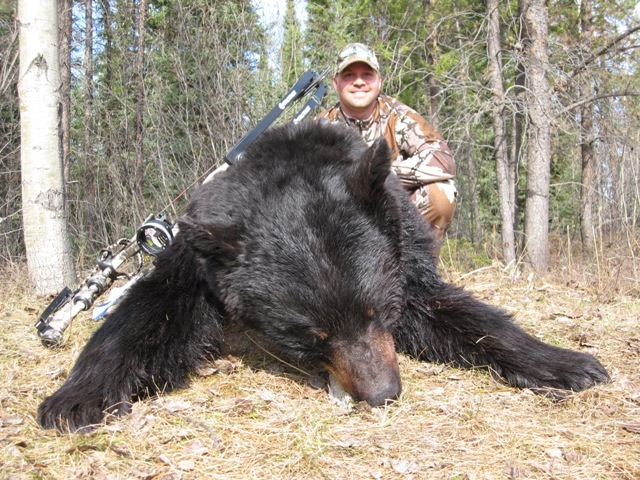 Burnt Lake Outfitters is the outfitter of choice for trophy black bear hunting in Alberta Canada. B&C and P&Y bears in Alberta are legendary. Conservation practices and very low hunting pressure, makes hunting trophy bears in Alberta exceptional. 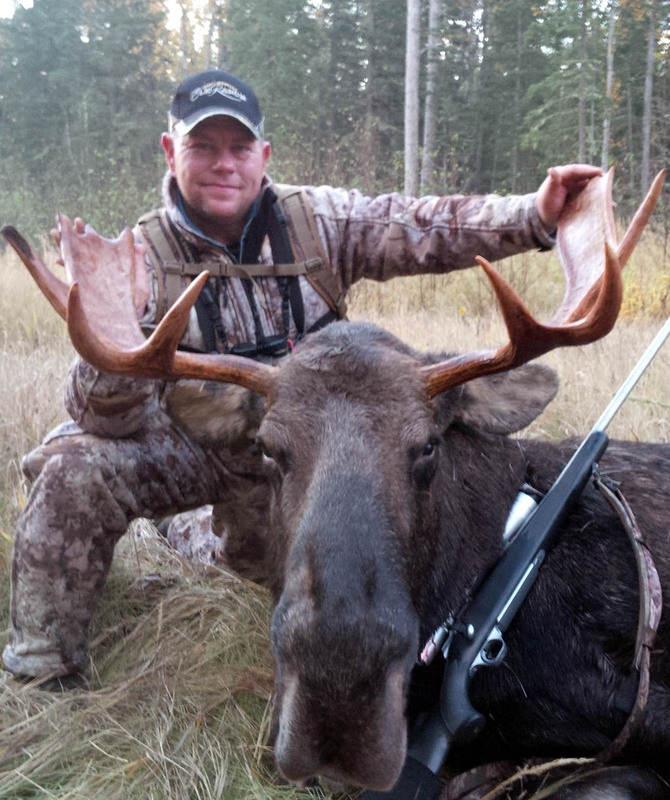 Moose Rut and Bow Hunts Burnt Lake Outfitters strives to bring you trophy class moose hunting opportunities during the archery season and the rut season where 35 to 50 inch bulls are not of reach. 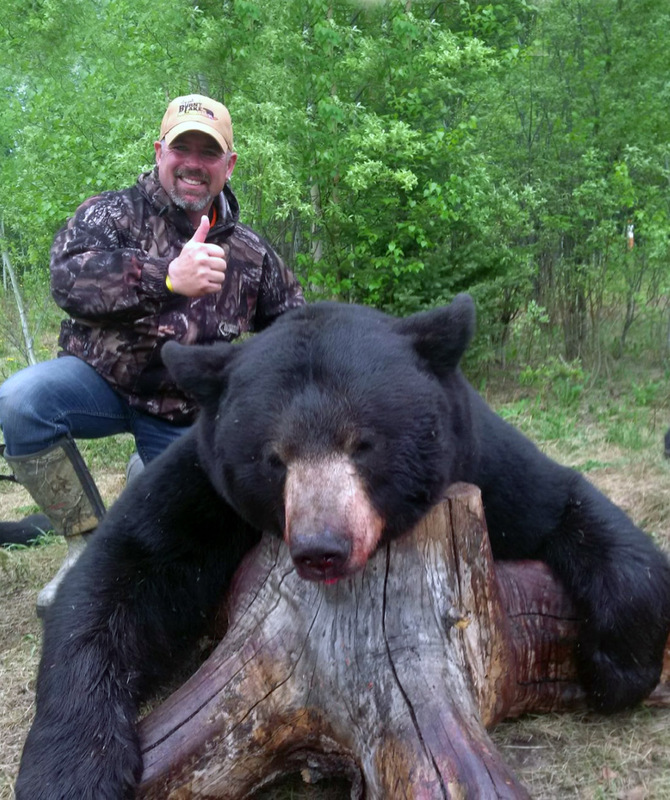 Black bear hunting, whitetail deer hunting and moose hunting in Alberta, Canada.